Comment: Air conditioning unit leaking in basement. Comment: Two bedroom condominium with 1600 square feet. Need to replace a 12-15 year old air conditioning unit that has rusted/corroded coils and is no longer cooling adequately. The current AC an "inside the wall unit" in an interior hallway with inside condo and has an outside box in a storage room on the deck. Current unit is not compliant with new Maryland law requirements so can not be recharged with freon or so I've told. 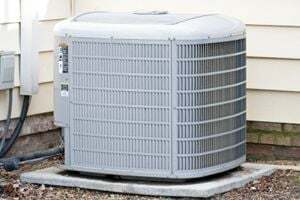 Comment: What is you cost for the purchase and installation of a 3 ton, 16 sheer, Bryant AC unit. Comment: Was told that a new compressor is needed. Would like to know costs for replacing compressor or installing new through the wall system. This is a condo. Goodman Model TWC24-1 / 1B. Gaithersburg HVAC & Air Conditioning Contractors are rated 4.65 out of 5 based on 3,926 reviews of 39 pros. Not Looking for Air Conditioning Contractors in Gaithersburg, MD?